Charles Schwab’s High Yield Investor Checking Account has long been a favorite among personal finance enthusiasts. 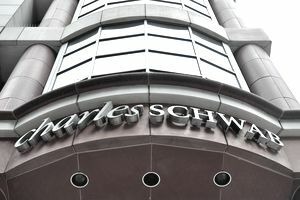 In an era when most banks are nickel-and-diming their customers, Schwab stands out as the company that offers everything related to its checking account for free. The Schwab checking account features free checking, free checks, free electronic transfers to other institutions, and no ATM fees anywhere in the world. If another company’s ATM charges you a transaction fee, Schwab will refund it. According to its website, you can make a deposit by transferring funds into the account, via direct deposit, or by mailing a check. Thankfully, Schwab sends its customers unlimited postage-paid envelopes that can be used to mail in deposits. There’s only one small problem: there’s a several-day delay between the time a customer drops a check in the mail and the time that Schwab receives that check and deposits it into the customer’s account. Sally the customer, for example, might have received a paycheck from her side job as a babysitter. She endorses the back of the check and puts it in a mailbox on Saturday evening. Schwab receives that check and posts the balance to Sally’s checking account on Tuesday or Wednesday—a solid three to four days after Sally dropped the check in the mail. Fortunately, Schwab has a free app that solves this issue. The Schwab Mobile Deposit app allows users to deposit checks instantly through their smartphone or tablet, just by taking a photograph of the check. Plus, it's available for Android and iPhone users. Download the app onto your phone or tablet, and log in with your standard username and password. Press the button labeled "Deposit Checks." The first time you press this button, you'll be asked to apply. It can take up to three business days to process your application and approval. Don't worry; this is only a one-time delay. You'll receive an email once you're approved. Log back into your Schwab account through the app on your smartphone, and press the "Deposit Checks" button again. Type in the amount of your deposit (for example, "50.00") in the designated line. Position your check on a dark background with no other objects. I used a black folder as the background, but you could also use a dark fabric, countertop, or upholstery. Ensure that the area is well-lit. Turn on all the lights. If your background is portable (like a folder or fabric), move it closer to a sunny window. Press the button that says "Front of Check." Align the top of the check with the blue line that appears on your screen, and take a photo. Press the button that says "Back of Check." Repeat the process. Make sure your check is endorsed. Review your deposit and upload. Wait for the picture to fully upload, and do not navigate away from the screen. View your instant deposit confirmation, which will include a confirmation number. You'll also receive an email from Schwab within one to two days with a final confirmation. Store the check in an envelope or file folder, at least until you receive the final emailed confirmation from Schwab. Easy Deposits: You don't need to drive to the nearest mailbox or branch. Instant Deposits: You'll eliminate the wait. Instant Feedback: If your check can't be deposited for some reason, you'll know automatically, rather than waiting a week or more for Schwab to mail you a letter. No Risk of Loss: Mailing a check into Schwab creates a risk that your check will get lost in the mail. Depositing your check by a picture, and then keeping the physical check in a file, reduces your risk of losing a check. Taking the photograph can be confusing, depending on the type of phone or tablet you're using. If you're used to pressing a physical button on your phone/tablet to take a picture, you'll have to adjust. On the Schwab app, you have to take a photo using a digital button on your screen, so make sure you're pressing the right button. In true Schwab spirit, this app is free for customers. You can also perform standard banking functions with this app, like checking your balances. Most banks offer that, but it's nice to have a one-stop-shop for your banking needs. Be aware that Schwab recommends keeping your check for up to 14 days after the deposit has posted, just in case anything goes wrong. After those 14 days have passed, you can destroy the check.